You may want to receive notifications when certain products are purchased, or you may need to notify an employee or third-party, such as a drop-shipper to get an item in the mail. 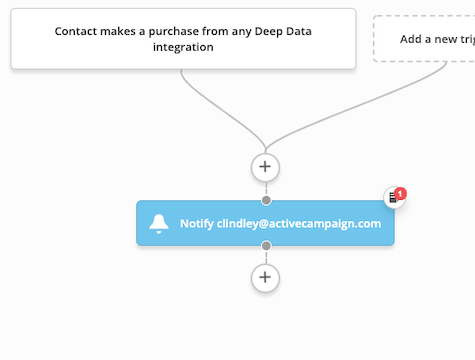 This simple automation sends a notification that will attach details about the contact who made the purchase. You can specify which products trigger the automation by using the segmenting options.